Keiko’s last Japanese class for this term was all about “adjectives”. But don’t worry if you can’t understand because Keiko will be offering a new Japanese for beginners course in September. The class will be on Mondays, from 17:15 to 18:45. We had our last class for this term. We concluded our studies of Japanese adjectives. Studying Japanese adjectives is challenging. There are two types of adjectives with different inflection rules. The class were really adept at coping with the difficulties posed by this system. 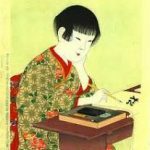 So for those of you who can handle it, I would refer you to this Wikipedia page https://en.wikipedia.org/wiki/Japanese_equivalents_of_adjectives. 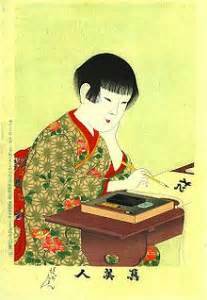 For details of Keiko’s Japanese course in September. please click here. To enrol on our September Japanese for beginners course, please click here. Wishing you all a very pleasant summer.